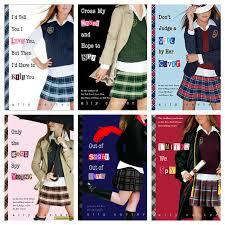 It's a book series about teenage spies, it's about growing up, being yourself and having your first love. This would be such a good show, especially for teen girls. There is so much stuff going on, there is all sorts of mysterious things going on. It has enough intrigue to be a show. I know I'm not alone when I say I would love to see this trilogy as a tv show. I've seen tons of people having their interest known. 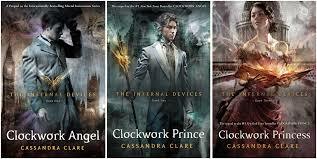 It could be a more fantastical version of Downtown Abbey (I'm actually just guessing with that since I've never actually watched Downtown Abbey, I just always sort of pictured it that way) I mea, they made The Mortal Instruments into a tv show, why not The Infernal Devices. This would be so exciting. Enough happens in these books that there is plenty material for a tv show. 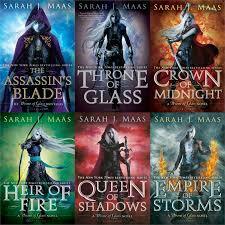 Especially since the movie flopped, I would love to see these books back on the big screen. This is all about politics and revenge and there are so many subplots. 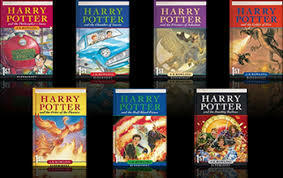 These books would miss so much if they were made into movies, they deserve their own tv series. It would be so epic. I loved the books and I enjoyed the movies, but they just left so much stuff out of the movies. I went and reread the books after I saw the movies finally, and I noticed all these things I had forgotten about when watching the movies. A major portion of the Order of the Phoenix was cut out because it was such a big book. I want all of it, every single moment of Harry Potter put to screen.